Apple has released its latest model of iMac. If you just need a budget friendly desktop computer, the new cheaper Apple iMac may be more suitable for you. 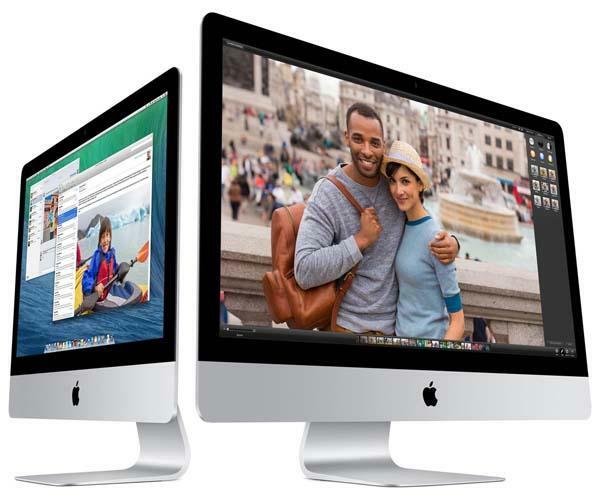 Apple’s new cheaper iMac is an entry-level all-in-one desktop computer. The iMac is powered by an Intel Core i5 dual-core processor featuring Turbo Boost up to 2.7GHz, and comes equipped with 8GB 1600MHz DDR3 RAM, 500GB SATA HHD, Intel HD Graphics 5000, and 21.5-inch LCD display. Compared with other models of iMac, the new cheaper iMac hasn’t been degraded performance too much on integer arithmetic so you can effortlessly use it to deal with your documents, emails, presentation files, navigate websites, enjoy your favorite music and movies, while integrated Intel HD Graphics allows you to play some popular video games such as League of Legends, Diablo III, and etc. 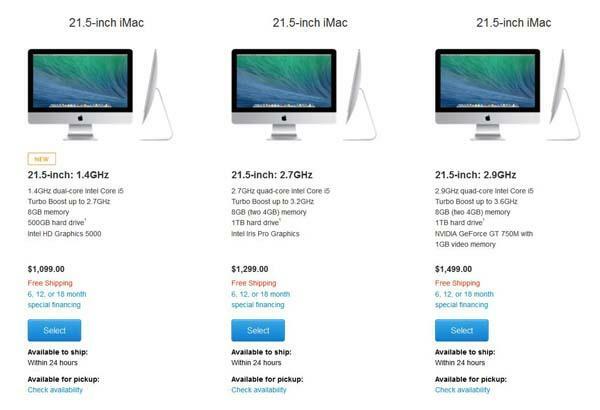 However, the new iMac is only $200 cheaper than the next-level model of iMac. If your budget is adequate, the iMac with 2.7GHz quad-core Intel Core i5 should be a better choice. The new cheaper iMac has been available at Apple Store, starting at $1099 USD. If you’re interested, jump to Apple official site for further comparison.